Homepage » Free Crochet Patterns » [Free Pattern] Love The Sweet Dancing Sheep, So Fun! [Free Pattern] Love The Sweet Dancing Sheep, So Fun! This dancing sheep is hilarious! Cute and creative, this Dancing Sheep Mug Cozy by Divine Debris is the perfect gift to put a smile on someone’s face and to protect hands. This pattern works great with the sheep wine bottle cozy you can find here. What are the chances that a wine lover drinks coffee or tea too? Really big, I would say, so why not combine the two pattern and create a gorgeous crochet gift , perfect for any occasion? [Free Pattern] This Little Lion Amigurumi Will Steal Your Heart! 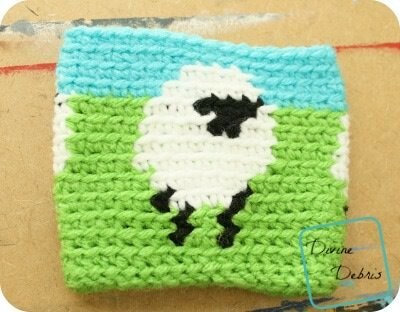 1 Comment to [Free Pattern] Love The Sweet Dancing Sheep, So Fun!